La Perla invited me to realize an illustration for their greetings cards inspired by Hypatia, the first female astronomer of ancient past. Words from La Perla: Hypatia was the first female astronomer of ancient past. A revolutionary woman. 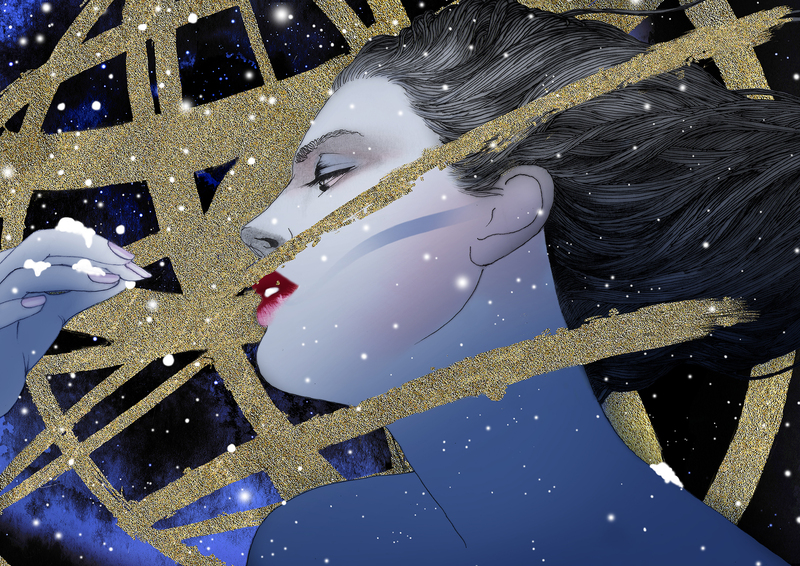 The starry universe depicted in the La Perla 2016 festive windows celebrates her courage and imagination.